If you are looking for a comfortable mattress in North Cyprus, YATSAN offer a range of memory foam mattresses, which provide superior support and comfort over a conventional spring mattress. If you also suffer from aches and pains after sleeping, a North Cyprus mattress made with viscoelastic foam may not only reduce those problems, but also give you a better night's sleep. 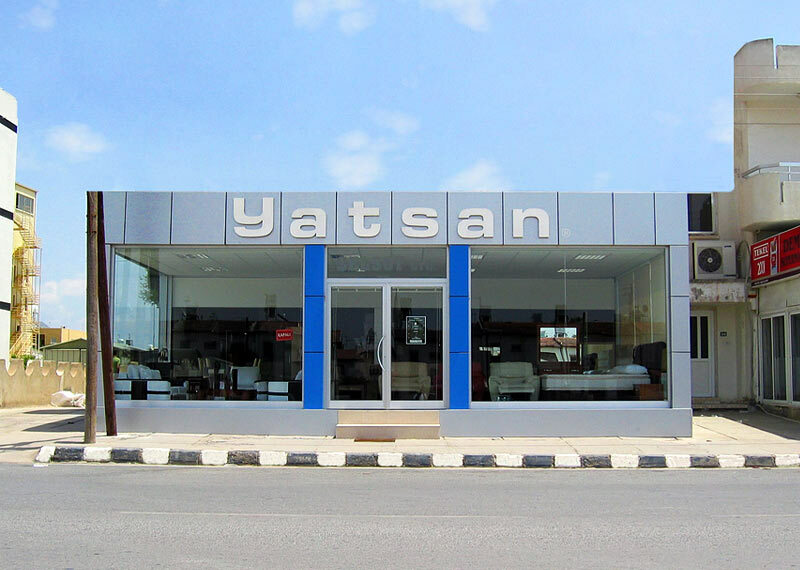 So, don’t waste time searching for “Mattress North Cyprus” on the internet, visit YATSAN North Cyprus instead! Visco elastic foam (also known as memory foam) is a major development in North Cyprus mattress technology, ensuring your body is properly supported while you sleep. Visco elastic foam is made of millions of foam cells that, when pressed, stick together for around 5 seconds, and then return to their normal position. As you lie on your YATSAN North Cyprus mattress, the memory foam yields to your body shape, and then tries to return to its flat position. When it meets resistance, i.e. where your body pressure points are, it stays in your shape, comfortably supporting your body. Where there is a gap, say at the base of your spine if you are lying on your back, it spring backs to fill the space, thus giving gentle support to normally unsupported areas of your body. The clever science behind viscoelastic foam actually regulates your temperature, just what you need from a mattress in North Cyprus summertime. As the foam cells warm up in proximity to your body heat, they get 'sticky' and bind together, reducing the pressure. So the warm and heavy parts of your body get less pressure, reducing heat buildup, while the lighter and cooler parts of your body are still supported. When you move during the night, a memory foam mattress constantly adjusts to your new body position. Unlike spring mattresses, where individual springs may be in the wrong position when you move, a visco-elastic mattress will change its 'memory' to your new shape within seconds. Better still, your movements don’t 'ripple' across the bed, so if you roll over, your partner doesn't move- and vice versa! Memory foam mattresses are used in many orthopedic beds, as they reduce the pressure on sensitive areas of the body and give balanced support right across your body shape. Those living in North Cyprus who suffer with bad backs, lumber pains or other joint related stiffness often find a memory foam mattress more beneficial than a conventional 'hard' orthopedic spring mattress. Come and try out a memory foam mattress North Cyprus style, at our YATSAN furniture showroom in Lefkosa. 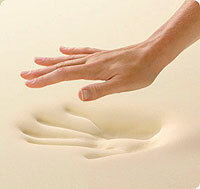 Memory foam is hypoallergenic, anti-bacterial, and resistant to moisture, mould and mites. So, a memory foam mattress is a great choice for a holiday villa or apartment in North Cyprus, where the beds may not be continually used all year round. Also, the hypoallergenic properties of visco-elastic foam mattresses make them perfect for anyone who suffers from asthma or allergies, as the density of the foam prevents dust mites from getting into the mattress. We believe that when it comes to buying a mattress in North Cyprus, feeling is believing! So, we invite you to visit our furniture showroom in Lefkosa and try out the range of YATSAN beds and mattresses for yourself. We’re just a 20 minute drive from Kyrenia. Click to see all YATSAN mattresses now.